Special thanks to Bob Mays. none of this would be possible. Sprint Car photography by Bob Mays and Joe Orth. The Nebraska Auto Racing Hall Of Fame. 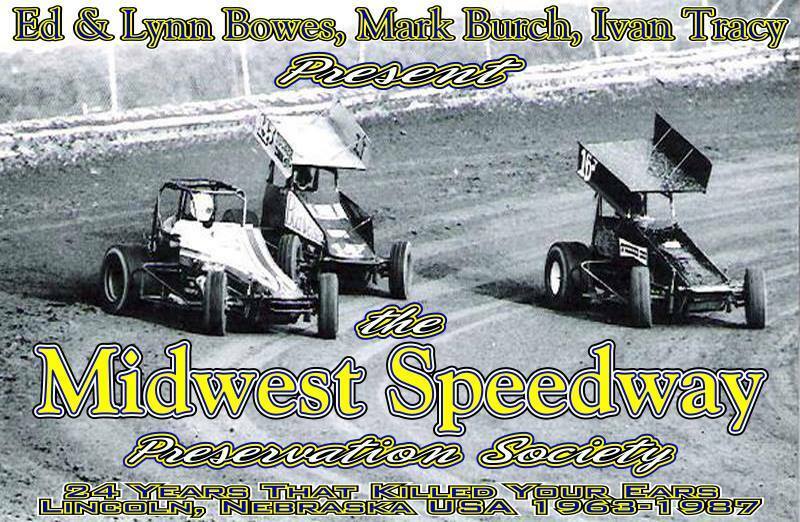 the Midwest Speedway Preservation Society. Special thanks to Greg Stofer, Jerry Burklund, Randy Palmer, and Rolley Bennett. have also been instrumental in the research of the information presented. This site was designed and constructed using pure HTML code. Front page photo courtesy of Gary Dominguez. Tracy Motorsports and main header created by and courtesy of Tom Rogers, Mater Designs. Content is property of the Midwest Speedway Preservation Society.